I’ve mentioned before how satisfying it is to bake away an afternoon. Starting with a vision and then spending the day lazily listening to podcasts while you work on your creation. Ending the day with a slice of this or this. As much as I like to dive into making a fancy 10 layer cake, I don’t always have an entire afternoon to kill. And we can’t eat cake every day. Well we could, but that would take the specialness out of it right? 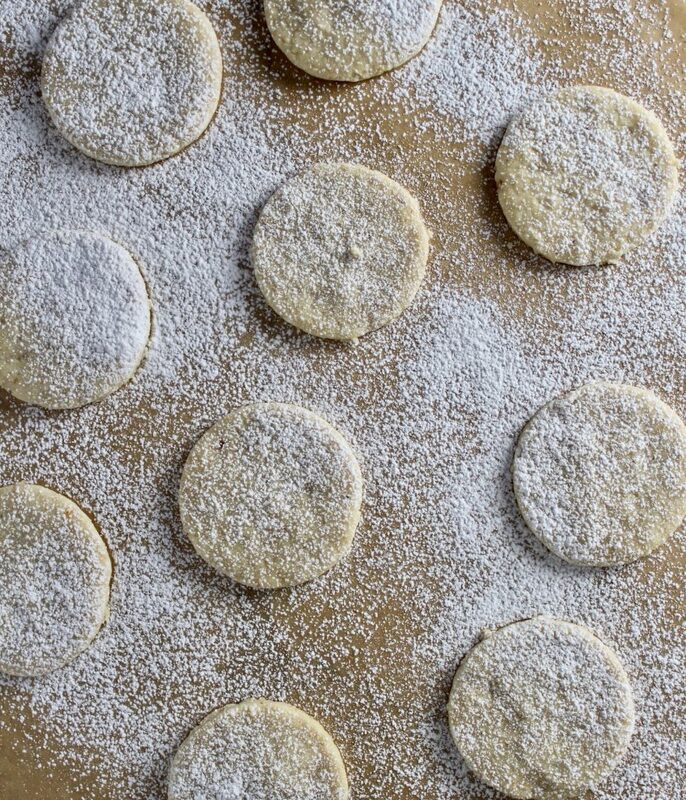 Recipes like Hazelnut Shortbread Cookies are fantastic when you need a little something sweet, and don’t have time or energy to create something extravagant. It doesn’t hurt that this recipe only requires 5 ingredients. This dough is a little fussy to work with, it’s very delicate and will absolutely fall apart on you. Have faith, because if you keep working with it, you’ll be able to get 20 perfectly shaped Hazelnut Shortbread Cookies out of this dough. 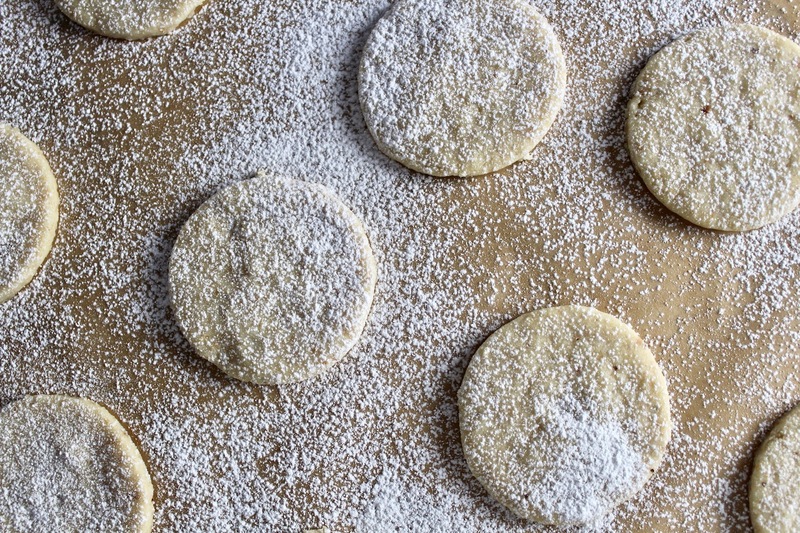 These cookies aren’t too sweet, but also not at all boring. They are not crunchy, but they definitely aren’t soft. I’d describe them as stable but crumbly. Food writer over here, amirite? The hazelnut flavor takes over, creating a delicate nutty cookie you want to eat every time you have a cup of tea or coffee. Why are these Spanish? There’s a cookie sold in Spain called Castells De Falset – Hazelnut Shortbread in the shape of castles. I believe these are made in a Spanish city called Falset – which is also where hazelnuts are grown and sold. I couldn’t find these cookies anywhere on the internet (come on 2019) so I’m happy to share a slightly adapted version from this book here. Preheat your oven to 350F. Lay the hazelnuts out on a baking sheet and bake for 8-10 minutes, until the skins start to separate from the nut. Scoop them into a clean kitchen towel and start to rub the towel of the nuts so the skins fall off (they are bitter, we don’t want them). Cool, and blend hazelnuts in a food processor until a fine powder forms, about 10 pulses or so. In a medium bowl, combine sugar and softened butter using a wooden spoon. 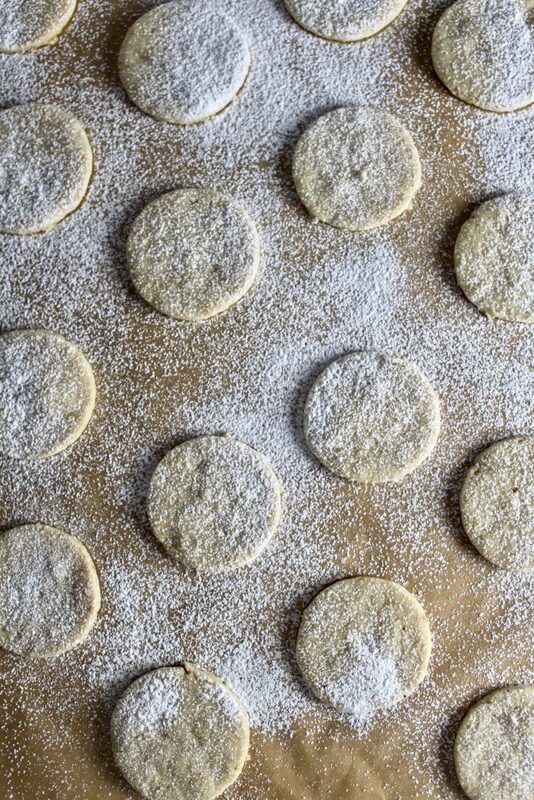 When incorporated, add hazelnut meal, flour and pinch of salt. Mix to combine. On a floured surface, roll out the dough. It will seem challenging as the dough is delicate. Roll this out so the dough is roughly cardboard thickness. Using a 1.5 inch cookie cutter (I used a small water glass), cut circles out of the dough. 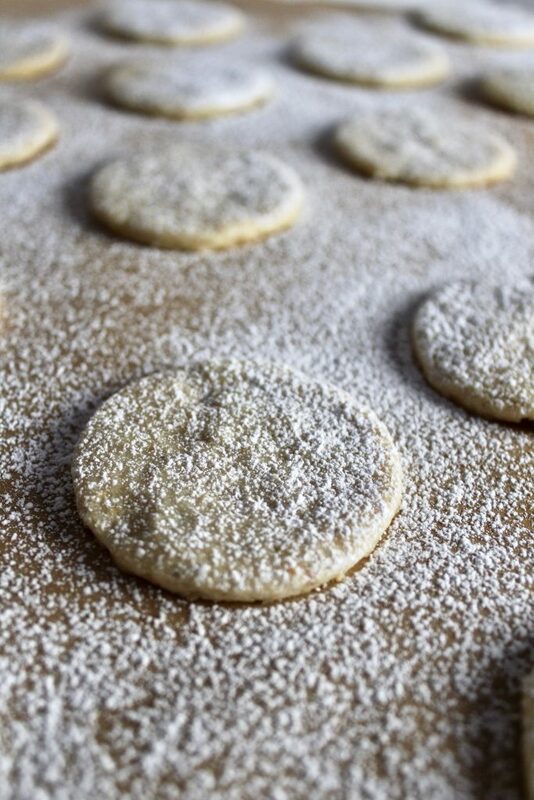 Using a flat spatula, gently lift the cookies onto a parchment lined cookie sheet, greased and floured. Repeat until all dough is used. Turn your oven to 300F. Let set in the freezer for 30 minutes. Then bake for 20 minutes. 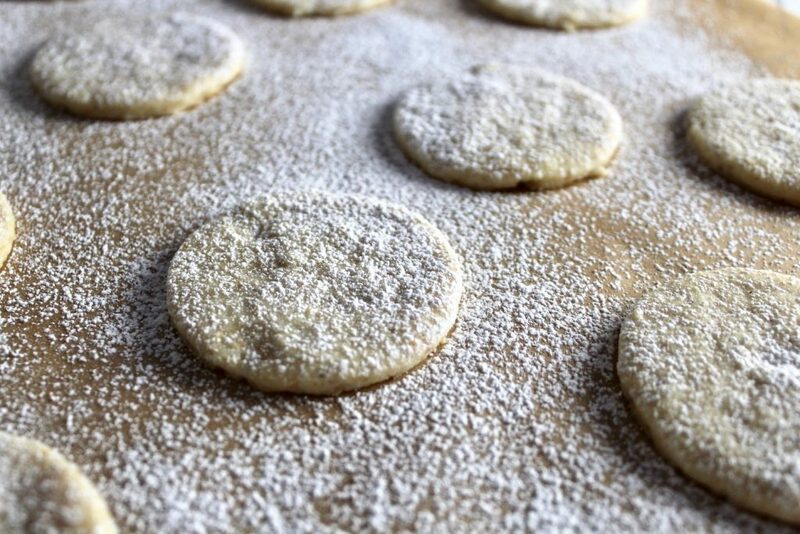 Remove and let cool slightly before dusting with powdered sugar. Enjoy with tea or coffee.